Bib-Eze is a disposable bib holder made of lightweight, elasticized fiber. The self-adhesive ends secure Bib-Eze to any bib, and removal is accomplished by tearing it off. This disposable holder eliminates the need to sterilize bib chains and is a solution to avoid potential bib chain cross-contamination risk. Each box contains 250 bib holders. Bib-Eze was evaluated by 43 consultants in over 4000 uses. 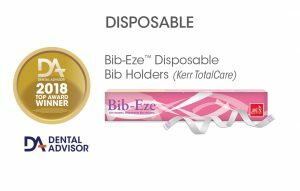 Bib-Eze received an 86% clinical rating. Bib-Eze is convenient to use as a sanitary alternative to re-usable bib holders. It does not feel cold on the patient’s neck, has no sharp edges and stretches to accommodate patient movement. Many consultants liked that it was disposable and reduced the possibility of cross contamination. Some consultants reported that the simple box packaging was large and dispensing was cumbersome, with Bib-Eze becoming tangled. 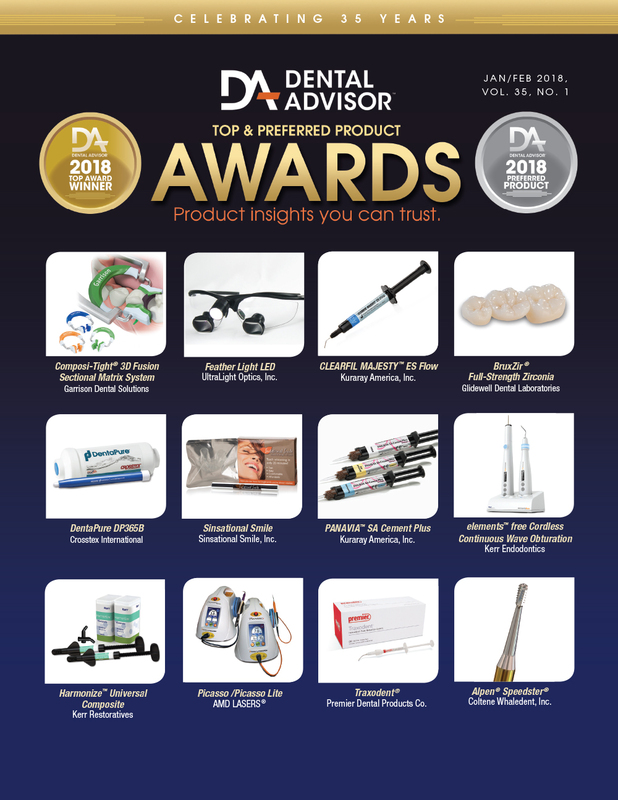 Patient perception of the product was good. Thirty-seven percent of consultants reported that Bib-Eze was better than their current bib holder. Forty-four percent would switch and 79% would recommend it. Adjust the length by attaching Bib-Eze higher or lower on the patient bib. Attach one side of Bib-Eze ahead of time to save time.